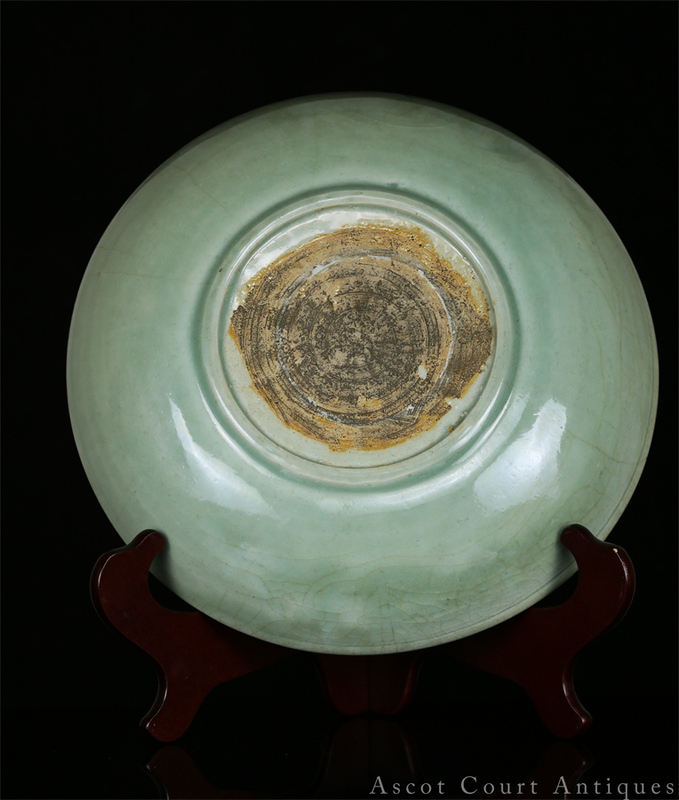 A nice mid-Ming Zhejiang / Longquan deep dish, with a bright and luminous celadon glaze, and decorated with incised floral sprays. 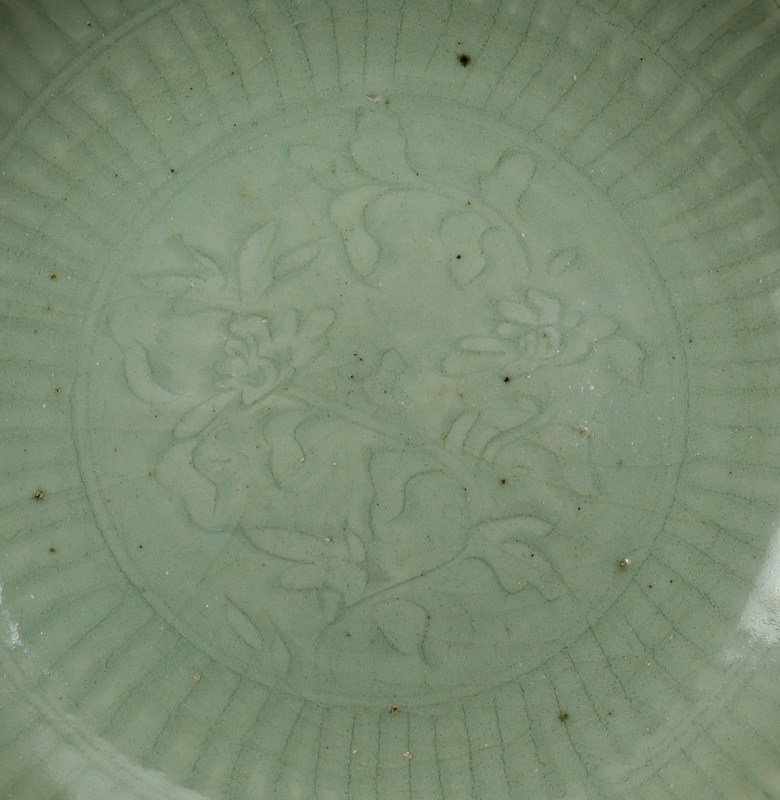 The design of the dish cavetto—with its two rows of lobed flower-petal borders—is very rare, and is more typically seen on blue and whites from the same period. 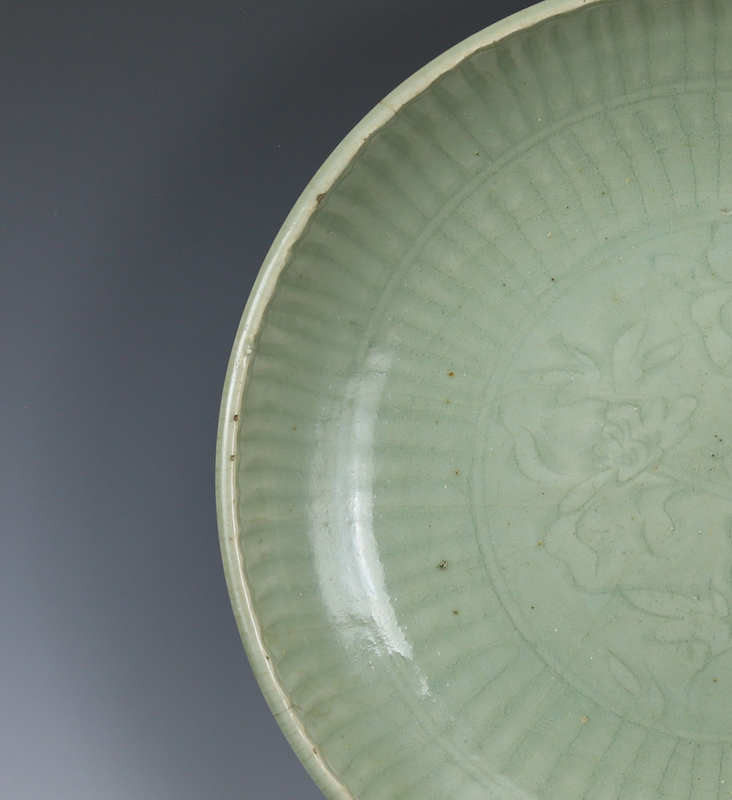 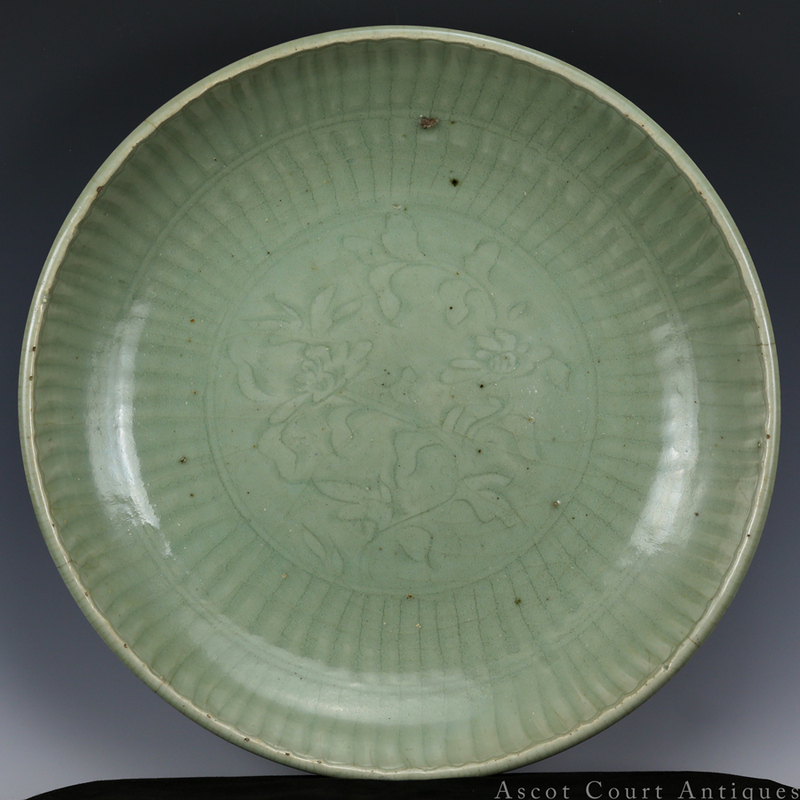 Unlike early Ming celadon, mid-late Ming Longquan pieces are characterized by intense crazing (with some glaze lines quite deep, and darkened with kiln dust). 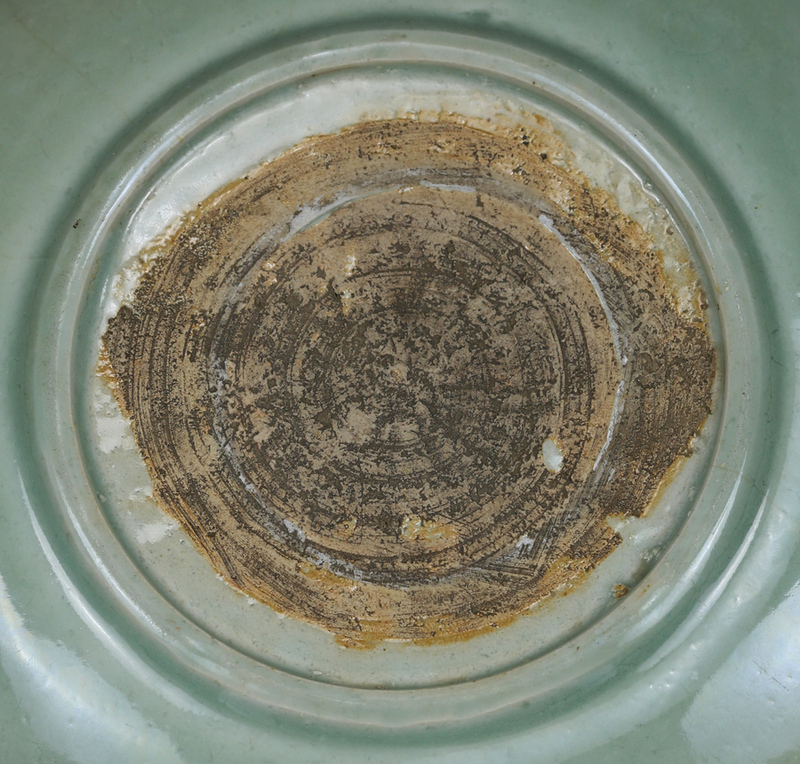 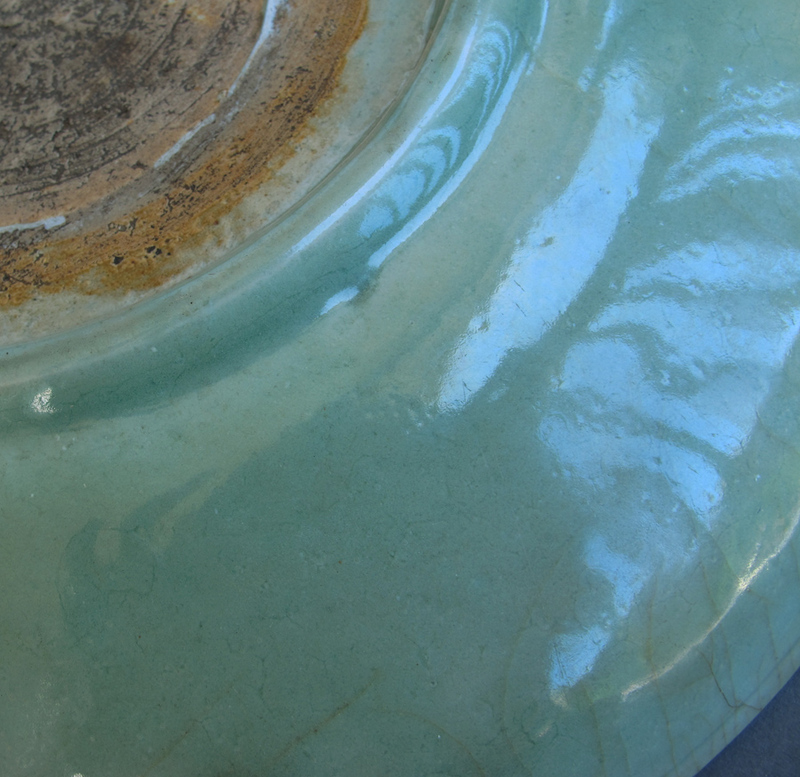 The lines seen on this dish are original from the firing, and not a condition problem.